Max (a good friend of Howie) did it again! After recommending the Chickpea Spinach Salad, he can do no wrong in our eyes. This guy just knows what tastes good. 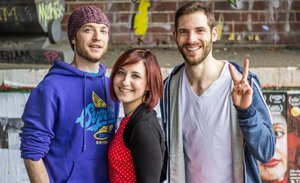 But it’s always the same with veggie salad recipes – the dressing is key. And this salad has a Honey Mustard Dressing so good you’d probably enjoy it on cardboard*. At the moment this one of my go-to lunch recipes. Healthy, tasty, very quick to put together and high in protein. Excellent because I’m back in the gym, winning 2015. Honest! I recommend having the salad with a small portion of rice or a slice of bread. You may have read that some veggie sources like lentils lack one or more amino acids to build complete proteins (1). So that’s why it makes sense to mix the salad with another source that contains the amino acids lacking in the lentils. Bread or rice would fix this up (2). * We’re not suggesting you actually try it on cardboard. Though we wouldn’t stop you either. We won’t bang on about how awesome fiber and proteins are this time. You know all that already. Among other stuff like making your dish more beautiful (and helping to prevent diabetes to boot!) parsley helps to keep your bones strong (3). Responsibility for its bone building abilities falls to the vitamin K that you’ll find more than enough of in it. Just 10 sprigs of parsley contain more than 205% of your vitamin K needs for the day (4). Impressive stuff. A study showed that women who take at least 110 micrograms of vitamin K a day are 30 percent less likely to break a hip than women who don’t (5). 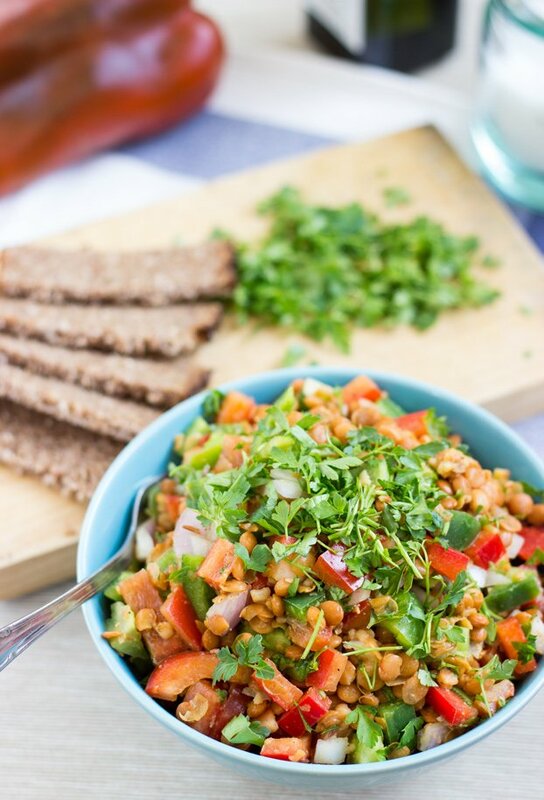 So this Lentil Salad is mine – but what’s your go-to lunch recipe at the moment? 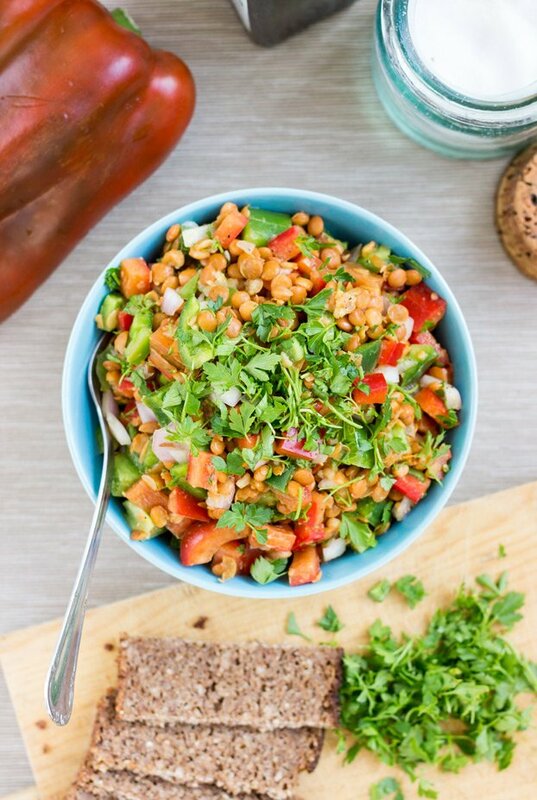 Turkish Lentil Salad with a honey mustard dressing. 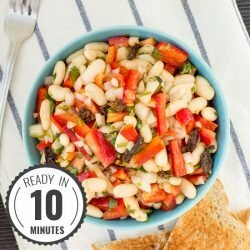 Easy and quick, ready in 7 minutes. Full of fiber, protein and vitamin K.
Dice up the onion and cut the bell pepper into small pieces. Add both to a salad bowl. Mix in the lentils (previously drained and rinsed; if you use dry lentils, cook according to package instructions first). Now in with the vinegar, olive oil, mustard, maple syrup, salt and pepper and stir it all nicely. Have the salad with a slice of (whole grain) bread. Enjoy! IF YOU LIKED THIS RECIPE: Max has a great eye for delicious recipes. If you haven’t yet, you need to check out the Chickpea Spinach Salad, probably my favourite salad recipe so far. 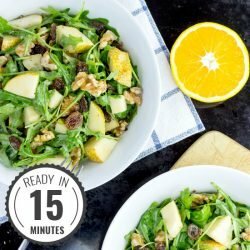 If you are more into lentils, then try out this vegan Arugula Lentil Salad. PREPARE FOR LUNCH: The ingredients should be enough for 2 big servings. So just store the other half in a container for tomorrow. It’s definitely filling enough to help you make it through the day. This is a salad after my own heart 😉 Pinning for later. Turkey is one of my favorite countries in this entire world and I am sad to admit that when I was there, I was NOT a very adventurous eater – AT ALL! However, I did take FULL advantage of all the fish! 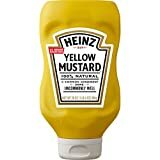 Love anything with mustard, especially honey mustard…although I realize honey is not vegan (? )..I would be using fresh lentils so the challenge will be getting them cooked just enough without turning them mushy.. 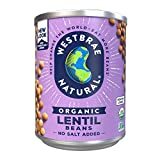 True lentil cooking can be a little tricky at times. At the moment I just by cooked lentils in jars. They are so cheap here in Spain, I’m a fan. 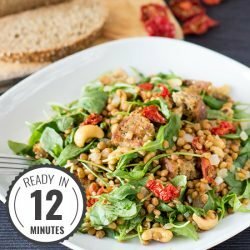 I am loving the sound of this salad – that vinegar, agave and mustard combo sounds like the perfect way to highlight these lentils! 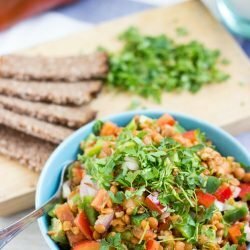 I have only ever had lentils in a curry or roasted – this is so unique! I think that would work as well! Thanks so much, that looks amazing. I don’t eat cheese but make almond feta which would be perfect in that recipe! Awesome. Going to share this on FB today!! Looks great! 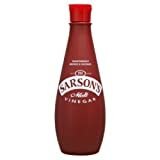 What kind of vinegar?